H I , I ‘ M J A S M I N E.
PHOTOGRAPHER. TAOSEÑA. FOODIE. FANNY PACK KWEEN. FUTURE MRS. K.
I love all things disney, crocs, + bruno mars. I’m a talkative, Disney-loving, free-spirited girl boss and a sucker for all things love. I love binge watching Game of Thrones + Broad City while I edit as well as going on adventures with the love of my life, Alex. We are also currently planning our dream wedding after 7 years of being together. We are also POP! Funko addicts and our collection is getting pretty nuts. What can I say - we love our fandoms. 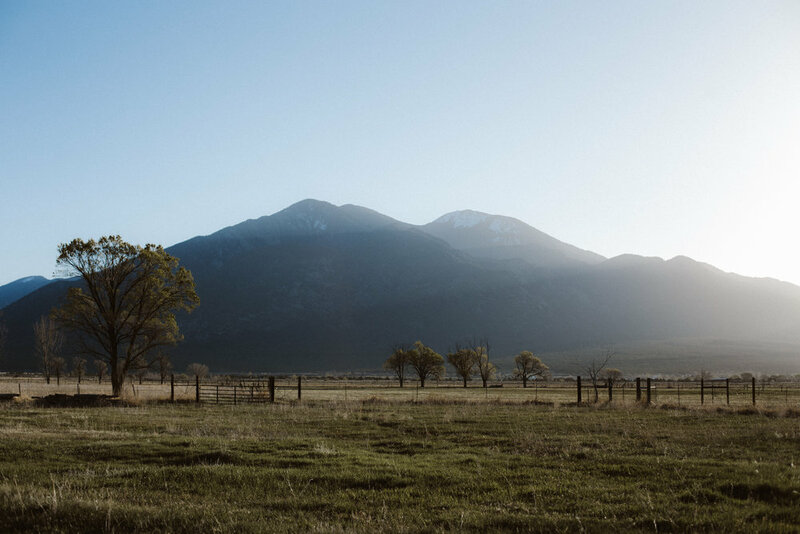 I was born + raised in the beautiful town of Taos, NM and I am so happy that I am able to spend a lot of time in my hometown doing what I love most, photography. The Land of Enchantment is a photographer’s heaven and I am so lucky to call this magical place home. I have a strong love for traveling and am beyond blessed to have the ability to travel to extraordinary locations outside of New Mexico. Ridiculously good food is my love language. I squeal with joy and excitement when I get “the shot” during our session. I will probably call your parents “mom & dad” on wedding days. Disneyland and my grandma’s house are my happy places. I love saying YAAAAS. I’ll gladly teach you how to do the Copperhead Road or the Wobble if you don’t know how. I enjoy making new friends, exploring, Jameson pickleback shots on occasion, and crocheting makes my 20 something year old grandma heart happy. OH, and I absolutely adore Crocs (#noshameinmycrocgame). I am obsessed with capturing real, natural moments and turning them into tangible memories for you to cherish forever. Vibrantly deep colors and moody film-like images are my jam. I am inspired by human connection, genuine emotions, movement, light, and a love for adventure. I strive to document those incredible moments that you’ll never want to forget. Although I primarily focus on a documentary approach with an editorial style to shooting, I make sure that there is a comfortable integration of traditional photographs that your mom/grandma/tia/etc. will absolutely adore. I like creating images that are INTIMATE and organic. I stray away from the stiffly awkward poses in order to get to know the real you. I want to document your story. I want my images to be an accurate and beautiful representation of you and your love. I love couples that stray from the norm and do whatever the heck they want, but I’m always down for La Marcha (Que Vivan!) and a slice of wedding cake. Want to get married at the Taos Ski Valley while skiers are coming down the mountain? Count me in! Want to swap vows at at the Sandia Crest? I’m your gal. Want to document your love story with a Marble double white and a Blake’s burrito? Hell freaking yes. I’m down for anything and I’ll be there to capture it from start to finish. Let’s get together for a coffee (soy London Fog for me!) and talk about all the deets! I can’t wait to meet you!